Tea Trolley : Regan Gentry. This was a kinetic work, activated by being moved forward or back. Tea Trolley was designed to retain functionality while also being rather ridiculous..
N.C.C. Art Awards. Christchurch Convention Centre, Christchurch. 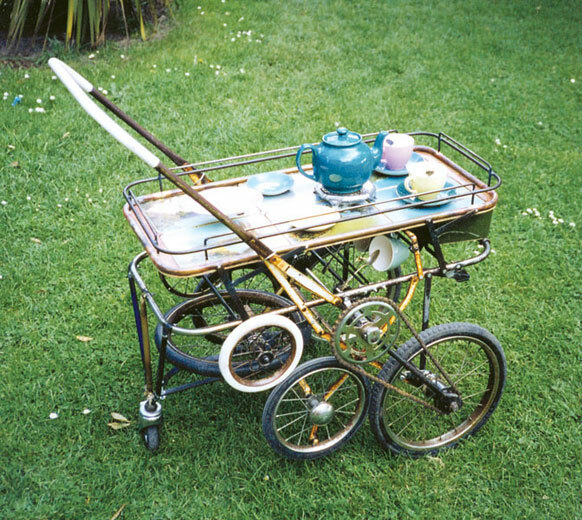 Tea Trolley - pram, wheels, steel, cups, spoons. 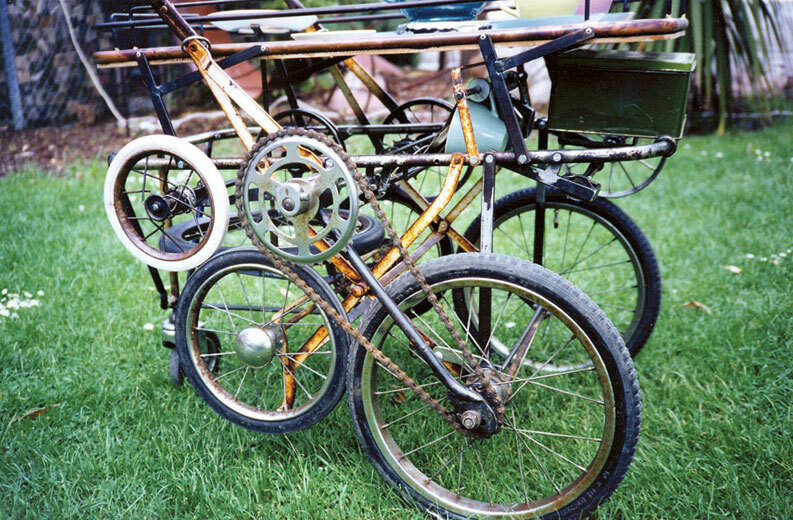 Tea Trolley - detail - pram, wheels, steel, cups, spoons.